As much as we hate to say it, summer is well and truly over. Whilst that means no more weekends spent outside enjoying the sunshine, it does signal that the Autumn nights are beginning to draw in and that’s equally as exciting! 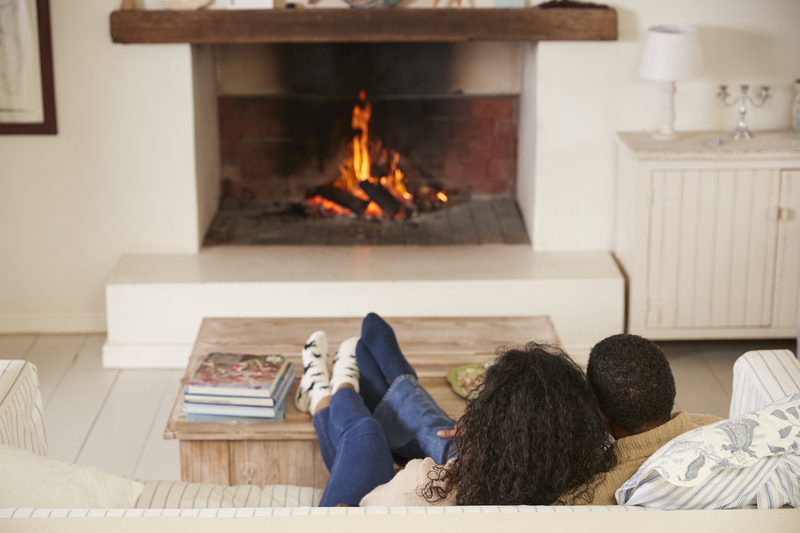 Before the real chill arrives, there’s a couple of things that you can do to make sure your home is keeping up with the changing seasons. Whether that’s with cosy accessories or with practical maintenance tips, here’s our guide to getting your home Autumn ready. 1. September is certainly a month of change; the nights draw in, and schools and universities begin a new term. Take this opportunity to have a fresh start in your house too – be it your wardrobe or kitchen cupboards. 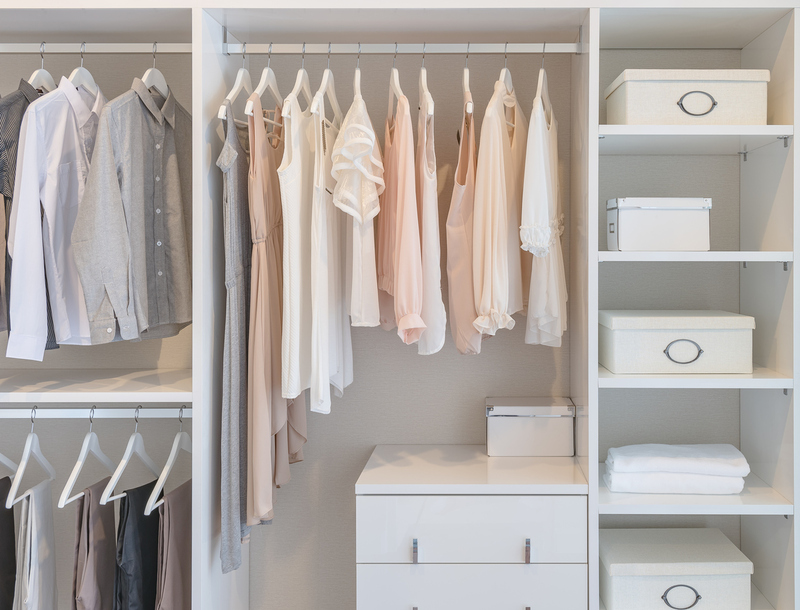 If you’re looking to streamline your clothing collection, it’s always a good idea to get everything out of your wardrobe before you go through every item and see what you love or could move onto new home. 2. A spring clean can help blow those January cobwebs away but a deep clean this month could also help you see your home in a fresh light – there’s a reason that supermarkets see cleaning product sales boom following the August bank holiday! Make sure your windows are sparkling too – this will help to maximise the natural light as the nights draw in. 3. Looking for an interior makeover? A fresh coat of paint can make a huge difference to your home. Dulux has just released its infamous Colour of the Year for 2019 if you’re in need of extra inspiration. 4. To brighten the outside of your property, tubs and hanging baskets can provide a instant boost of colour. As a quick guide, daffodils and hyacinths should be planted by the end of September, lilies and alliums by the end of October and tulips in November. 5. Don’t forget your outdoor lighting too. Fairy lights and wall lights can give a subtle, decorative effect, whilst floodlights are perfect for extra security. 6. For instant cosyness, change your textiles around. A knitted blanket is perfect for creating Scandi vibes and rich, Autumn coloured cushions will make your sofa look much more inviting. 7. 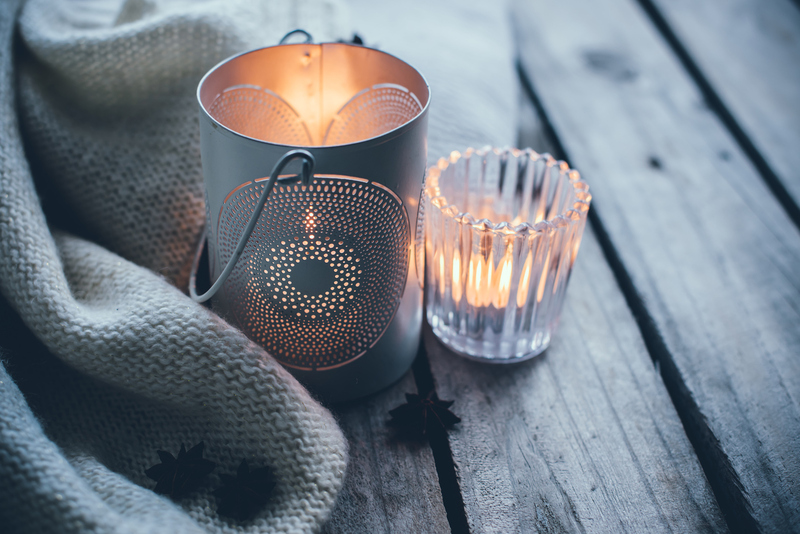 Candles are a huge favourite for Autumn/Winter and make a night in feel like a real treat. Just remember not to leave them unattended! 8. Embrace the holidays. With Halloween falling on October 31st, it’s the perfect excuse to go all out with decorating and adding colourful bits and bobs to your home. Make the most of Autumnal vegetables too and get cooking – think pumpkin soups, warming stews and sticky toffee apples.